My name is Marjan. I was a movie actress and a singer before the  revolution. After the revolution, all such activities were banned as Khomeini’s Islamic regime came to power. This regime was against artists and was adamantly against women. Music was foreign to it and it considered music religiously forbidden. Thus musical instruments were banned as well. Anyone who had musical instruments at home, such as guitar, violin and piano, it would be confiscated. We even had very famous musicians both before and after the revolution whose musical instruments were broken on their heads, like Mr. Parviz Ya’haqqei. After the revolution, I was among the artists that were banned from performing. All artists were banned from working. Surely, arts was destroyed in the society. They later destroyed the films that had been produced; they destroyed them all as far as I know. Since my husband was a moviemaker and had a studio, he can better explain to you what happened. I decided to fight this because I had a right to live in my country in freedom.  At the time the People’s Mojahedin Organization of Iran (PMOI/MEK) was the best organized entity. From the moment that I was arrested, I was taken to solitary confinement. I later asked them why this was so, because the worst kind of imprisonment and torture is solitary confinement. They said that my crime was great because I was a celebrity and I had joined this organization. When I was in Iran, my husband was imprisoned. After he was released, we again managed to establish our contacts with the PMOI. The regime found out and they ran an article in the Special News section of Kayhan daily which was one of the high-circulation papers in Iran. I felt that it would be dangerous if I stayed in Iran so I escaped overnight and went to Dubai. There I went to the U.S. Embassy and introduced myself. They found out that I was a famous actress and singer and they agreed to give me asylum. I have played in many movies that each I liked in its own way, but the last film that I played with my husband was called “Leaning on the wind”, I am really fond of this film and I think it is a good movie. I sang a song in this film that has the same name.